Gazebos make a great flexible outdoor living area and add versatility to al fresco entertaining and are available for sale in kit form, as DIY plans as well as custom built designs. Some designs are commonly called ‘Bali Huts’. 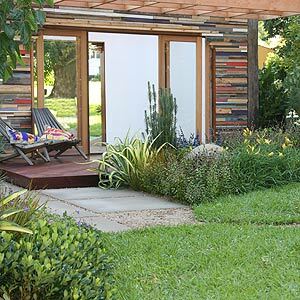 This style is increasingly popular in Australian Gardens as it it reflects a relaxed tropical landscape. With designs and materials used for a gazebo can ranging from wrought iron or timber to thatched Balinese gazebo styled structures, African and Steel garden gazebos. Adding an extra dimension to outdoor living, a gazebo can provide protection from both sun and rain. Gazebos for sale can be designed to suit the climates of Melbourne, Sydney, Darwin, Brisbane , Perth and Adelaide. In Bali, Gazebos tend to be an outdoor wooden or timber structures designed to provide an living or entertaining area that is protected from the elements. The idea is to create a space that is shaded from the sun, yet open to the garden or pool. A well planned gazebo also provides protection from the wind and rain. In Australia they are an extension to the living area an alfresco addition to the garden that can make your home not only more liveable, but if correctly designed and installed more valuable. And even in cooler climates such as Melbourne, Bali Huts can be used for most of the year, a shelter from the sun as well as the wind or rain. The thatch hut or ‘Bali Hut’ is a popular gazebo design, economical, designed to fit in with a tropical garden theme and poolside entertainment a thatched gazebo is a great addition to the garden. Bamboo is another material to be considered. An for a little more expense, modern Gazebo designs that provide a more weatherproof outdoor room can also be constructed. Year round use in an outdoor room. You will need to consider location is respect to paths, pools and the house. Local council regulations may apply to constructing gazebos, so consider this before planning any construction. outdoor cooking and outdoor furniture. A pond or water feature located close to the gazebo could be a part of your plan. Consider Bamboo fencing Panels as a part of Gazebo Design. Gazebos can be found for sale in a range of sizes and style to suit any garden. Some manufactures will even custom make to suit difficult areas and specific requirements. You may need to consider council regulations, enquire before commencing. 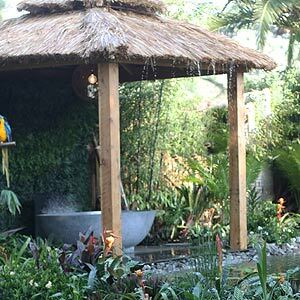 Bali Huts, African Huts and Gazebos are a wonderful addition to the Australian garden, in particular the warmer climates of Queensland, Norther NSW, Darwin and Western Australia. A well constructed and designed Gazebo or African Hut can add extra living space and value to your home. Specialize in the thatch gazebo range custom making Bali Huts, African Huts, Shingle and Iron Wood Huts. Range of high quality products including African Gazebos, Bali Thatch and African Thatch DIY kits. Thatch Gazebo, Spa Gazebos, Garden Gazebos, Western Red Cedar Gazebo ,Bar Gazebos, planation shutters. Manufactures Gazebos. Bali Huts and free standing shade buildings to the DIY market and we ship aust wide. Arbours, Bali Huts, Bali Gazebo, BiFold Doors, Carports, Decks, Decking, Fencing, French Doors, Pergolas..
PVC garden products including planter boxes, trestles. Arbors and gazebos.